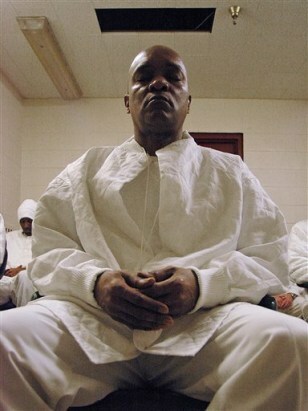 Ronald McKeithen, 48, who is serving life without parole for robbery, meditates with other inmates at William E. Donaldson prison in Bessemer, Ala., on Jan. 20. Deep inside an overcrowded prison with a reputation for mayhem, convicted killers, robbers and rapists gather in a small room. Eyes closed, they sit silently with their thoughts and consciences.